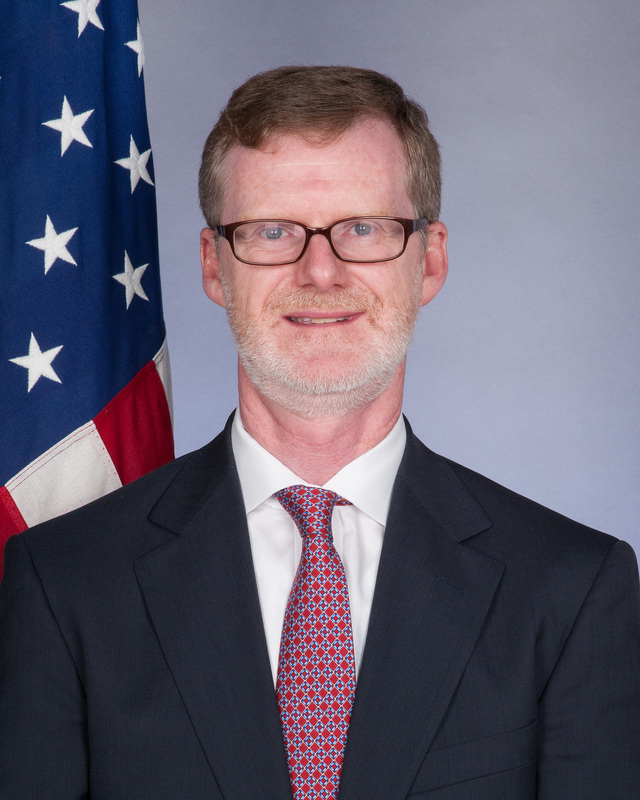 Dan Lawton assumed his duties as Consul General in Belfast in July 2015 and departed Belfast July 2018. Most recently, he was the Deputy Director of the Office of Southern European Affairs in the Bureau of European and Eurasian Affairs at the U.S. Department of State. Prior to returning to Washington in summer 2013, he served as the Political Counselor at the American Embassy in Athens (2010-2013), the Deputy Political Counselor in Caracas (2006-2009), and the Political-Military Officer in Copenhagen (2002-2006). He has also served in Lima, Karachi, and Mexico City and completed separate State Department assignments as the Country Officer for Cyprus and Sri Lanka. Dan Lawton received a Bachelor’s degree and Master’s degree in International Relations from Brown University and Syracuse University, respectively. He and his wife hail from New York State and have two children.